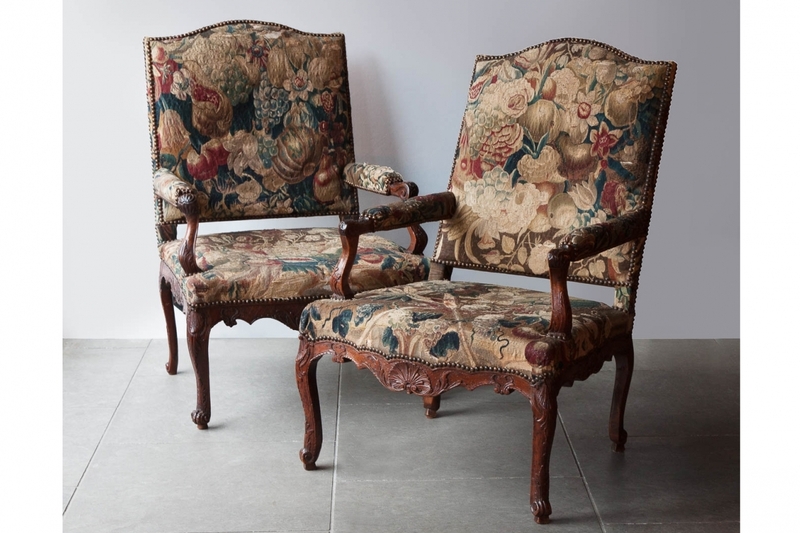 Large pair of French Régence fauteuils circa 1715. 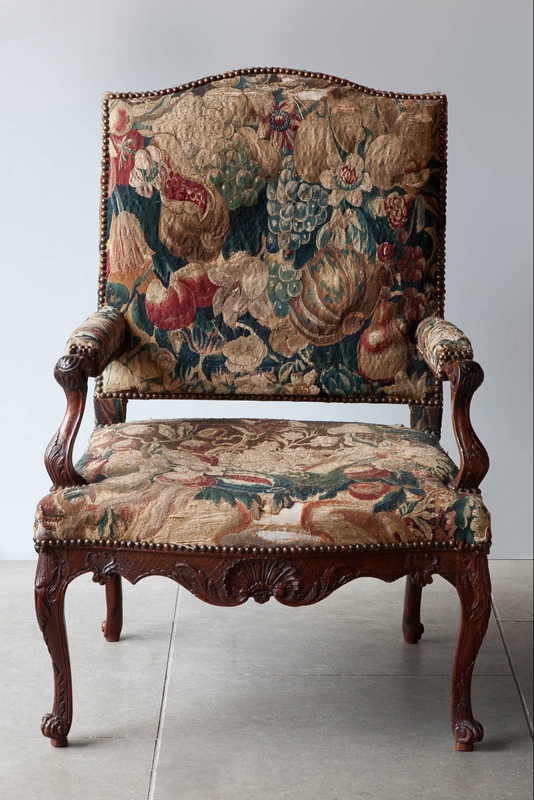 Large pair of finely coloured walnut open arm chairs finely carved with shells and foliage. 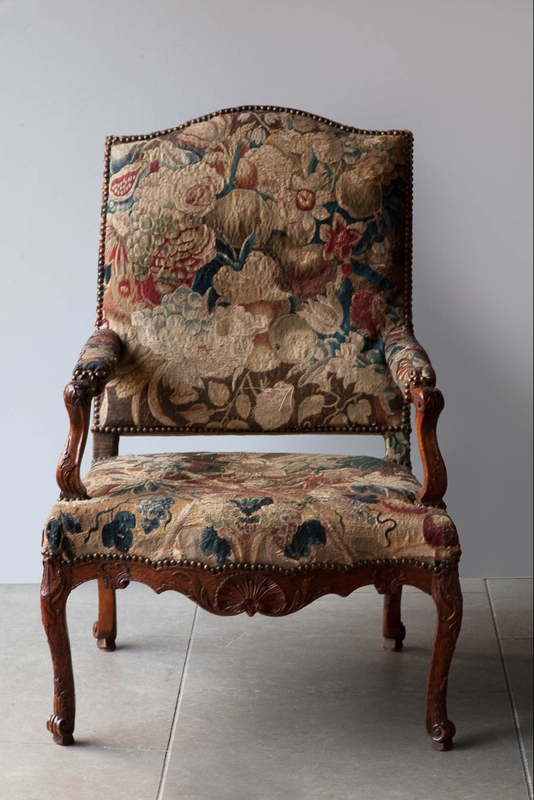 The cabtiole front legs gently curved terminating in rolled ends, with shaped arms, upholstered in period wool and silk tapestry with fine quality fruit and flowers in fresh colours. 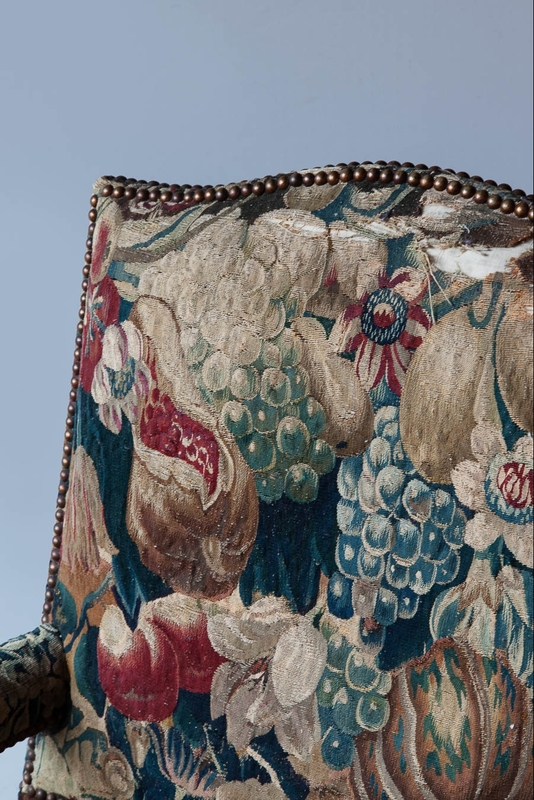 Tapestry like this is typical of the early 18th century in France, with fruit and flowers in vivid colours. 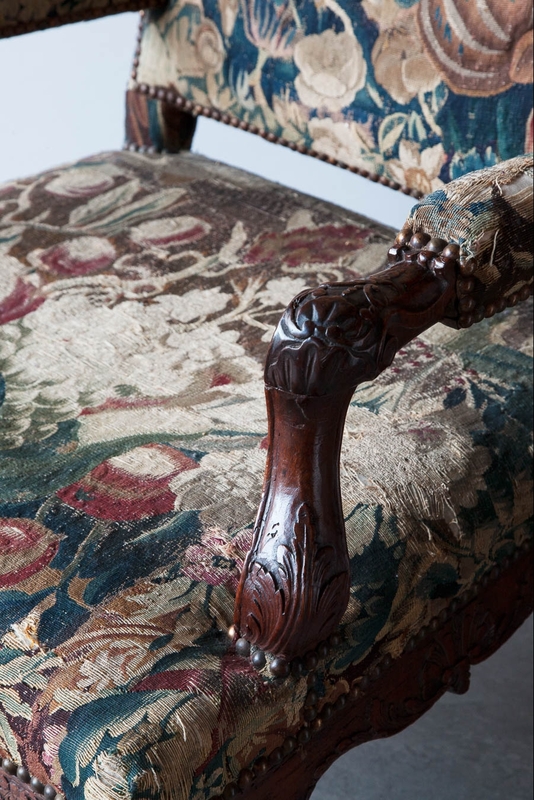 There are slight differences between the two chairs and evidence of old wood worm. The tapestry is worn in places. H. 103 W. 68 D. 67 cm. H. 41 W. 27 D. 26 in.